Writer, comedian, podcaster and film director Kevin Smith brings ‘An Evening with Kevin Smith’ to Auckland’s SKY CITY Theatre Thursday 17th September. Kevin Smith is the brain behind the 90’s cult comedy classic ‘Clerks’ which he wrote, directed and acted in as the character Silent Bob. From the success of Clerks, Kevin went on write and direct indie classics ‘Chasing Amy’, ‘Dogma’, ‘Mallrats’ Jay & Silent Bob Strike Back and the thriller Red State. 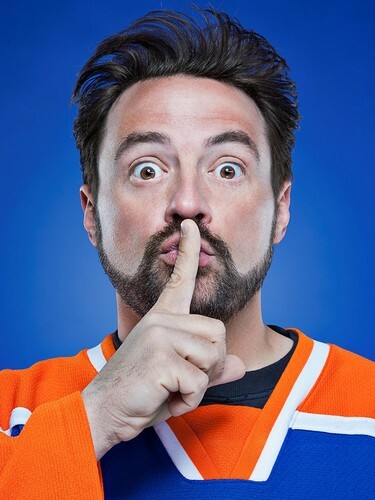 Tickets for ‘An Evening with Kevin Smith’ are on sale from www.nonstoptix.com from 9am, Thursday 30th July. Tickets start from $45 + Booking Fee.